Found in the pretty harbour of Hafnarfjordur, Hotel Viking is ideally situated between Keflavik and the bustling capital of Reykjavik. Decorated with the arts and crafts of Iceland, this hotel embraces the island’s Nordic heritage, while celebrating the remarkable landscapes which lie just outside the door. The accommodation has a mixture of room types from the main hotel building to outer building cottages and groups will be placed subject to availability. All 42 rooms are beautifully furnished en-suites and decorated with either Viking-style décor, or West Nordic design, all which bring guests a little closer to the history of this rugged land. 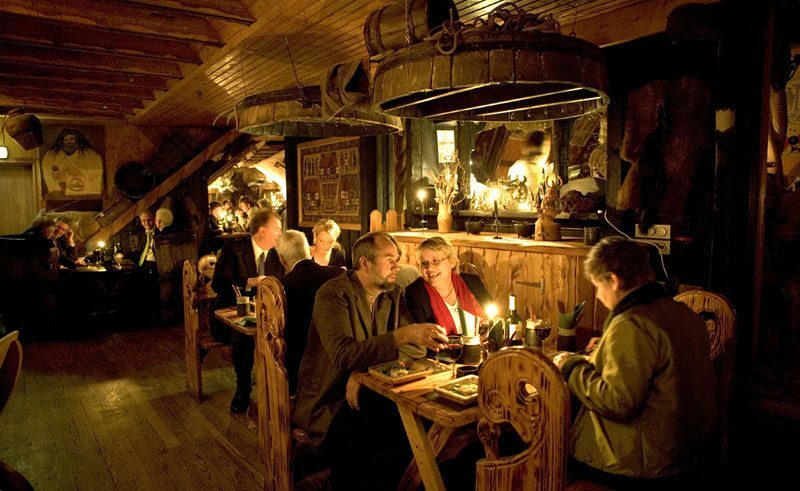 The hotel’s Viking restaurant provides a nightly feast that is both delicious and entertaining, bringing the age of the Vikings alive and celebrating their culinary delights.